When it comes to major movies these days, remakes or long-awaited sequels of older films has become the norm. And this trend shows no signs of stopping anytime soon. In fact, one of the last movies to be nominated for an award that had a completely original script was Interstellar back in 2015. With several highly-anticipated remakes in the making, one of the latest of the long-awaited sequels is Blade Runner 2049. Released Friday, Oct. 13, Blade Runner 2049 is set about 30 years after the original one, released in 1982. 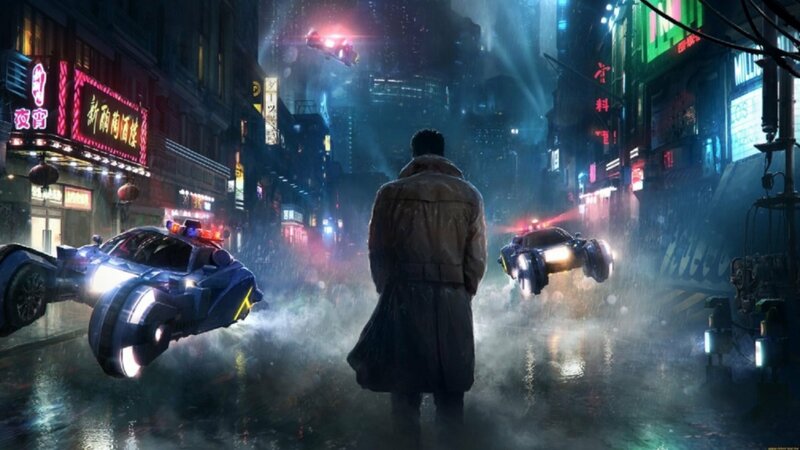 The story follows K, played by Ryan Gosling, a replicant bounty hunter known as a blade runner. Replicants are synthetic, biorobotic beings with para-physical abilities resembling a living being; they are genetically engineered using organic tissue. As a blade runner, K is tasked with killing other replicants, mainly older models, who have gone rogue. After finding the remains of a once-pregnant replicant, something that should be impossible, K is tasked with finding the child and eliminating any evidence of their existence to prevent a war between humans and replicants. Despite its high rating on both iMDB (8.5/10) and Rotten Tomatoes (89 percent), the movie starts at a slow-moving pace that comes off as anti-climactic. I went in the theater expecting an action-packed movie with special effects that would keep me on the edge of my seat. And while the special effects were definitely top-notch and there was some action, it hardly kept me in suspense. The movie started off interesting enough, with K completing a job and discovering the replicant’s remains. But after that, there is no real movement throughout the movie; each new discovery. The movie is two hours and 43 minutes long and the entire time I was thinking, “get to the point already.” Sometimes I wondered how we even got to a certain point, such as when the audience meets Rick Dickard, played by Harrison Ford, a human who used to be a blade runner in the original film. That is not to say that the film didn’t come with its own twists, mainly towards the end, but I felt that they also failed to resolve some loose ends. Maybe it’s because the end of the movie finally left me wanting to know what happens next. The whole movie consisted of one slow build-up to a specific moment and when they finally gave us that moment, it was just like, that’s it? One thing that they did do pretty well with were the characters. The actors played their roles flawlessly and I felt invested in K’s journey. As we learn more about him and his very human desires, despite the fact that he is engineered not to have any, I find myself hoping he attains them, even though it seems very unlikely. Another character that was well-executed was the “evil” replicant, Luv, played by Sylvia Hoeks. She is basically the replicant manufacturer’s lap-dog and kills any who get in the way of completing her task, be they human or replicant. She and her boss also want to find the child but for a different reason; her boss wants to learn the secret to giving the replicants the ability to procreate in order to better meet the demand for more. The theme of the movie was also well-executed, if a bit cliche. I always appreciate movies that explore human nature and racial prejudices in a way that makes its issues clear. It’s possible that the producers will make another sequel; there is certainly talk. But if so, I see little point. While the end of Blade Runner 2049 left me with some questions, they are not burning enough for me to watch a whole movie that answers them, especially if it’s done in the same way as this one was. So, while this might be a nostalgic movie for fans of the original Blade Runner, I cannot highly recommend this movie.